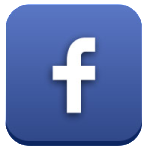 Dr. Lim Hong graduated from Virginia Tech and received her Bachelors of Science in 2012. Upon graduation, she attended Lynchburg College and received a Doctorate in Physical Therapy in 2015. Upon graduation, she attended Lynchburg College and received a Doctorate in Physical Therapy in 2015. 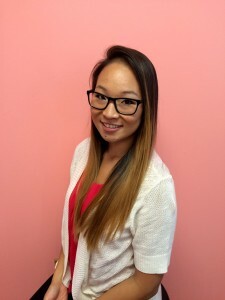 During her undergraduate studies, Dr. Hong accumulated extensive experience at various outpatient orthopedic clinics and personal training while working at the Virginia Tech Student Rec Center. Through clinical internships, she has gained knowledge working with patients of all ages from infancy to elderly (she has a soft spot for the kiddos). Her goal is to become a Certified Orthopedic Manual Therapist (COMPT) as well as to become more involved in the community by working with young athletes. Dr. Hong has developed a love for fitness over the years and is passionate about helping patients achieve their goals. As a Virginia Tech alumna, she strives to always follow the motto, “Ut Prosim,” (That I May Serve). She is also a HUGE Hokie football fan! 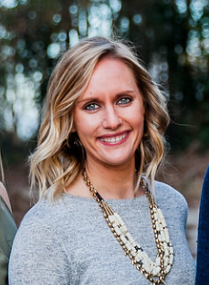 Dr. Lauren Lee is an Eastern North Carolina native who graduated from East Carolina University’s Doctorate of Physical Therapy Program. Prior to that, she completed her Bachelors of Science in Biology and Exercise Science at the University of Mount Olive, where she competed as a Division II Volleyball athlete. Throughout her educational, clinical, and athletic experiences, Lauren has developed a passion for outpatient orthopedic care with a focus in manual therapy. She has knowledge and training ranging across the age spectrum, from children with developmental delays, weekend warriors, and even to older adults following joint replacements. She is trigger point dry needling certified utilizing a non-aggressive technique to assist with pain, mobility, and motor control. Lauren aspires to further her training by becoming a Certified Orthopedic Manual Therapist (COMT). She believes that patient-focused care provided in a fun, friendly environment is the first step towards positive outcomes and she is excited to get you back in the game. This small town girl enjoys keeping her competitive side alive by participating in indoor/outdoor volleyball leagues, running, watching any and all sports, and exploring this beautiful city. 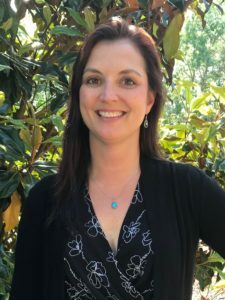 Angela Tidwell, OTR/L graduated from the University of Florida in 1996 with a Bachelor of Health Science in Occupational Therapy. She has loved helping clients regain their functional independence as an OT for over 22 years. She has worked in a variety of settings including inpatient rehab, acute care, outpatient, and skilled nursing facilities, but is very excited to return to her favorite OT setting as an outpatient hand therapist! Her work experience in hand therapy includes: wrist, hand & elbow fractures, dislocations, tendon repairs, nerve repairs, amputations, digit replantations, wound care, burns, carpal tunnel syndrome, post-op care, repetitive strain injuries, and custom hand splinting/orthotics. She has worked with clients of all ages. She has an extremely well-rounded work history having worked at a large inpatient rehab hospital in Orlando, FL where she rotated as the core therapist on the orthopedic, neuro/CVA, and spinal cord injury teams. She also covered the TBI and pediatric teams as needed. She was a weekend supervisor for almost 2 years, having to staff a full team of OT’s at 6 local area hospitals. One of her favorite experiences was getting to treat Walt Disney World employees in a workers comp program for 4 years. Angela moved to NC in 2010 and loves getting to finally experience all 4 seasons. She enjoys watching sports (Go Gators! ), gardening, and traveling with her husband, 3 children, and 3 dogs! She is very happy to join the Saylor team! 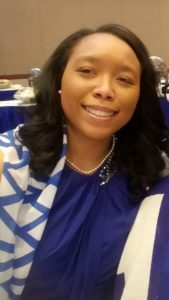 Dr. Laurice Morton is a Bluefield, West Virginia Native who graduated from Alabama State University’s Doctorate Physical Therapy Program in 2011. Prior to that, she completed her Bachelor of Science in Biology with a Minor In chemistry at Marshall University. From 2013-2019 she worked in an outpatient/ Acute Care Hospital in Princeton, WV which involved in the treatment of treated orthopedic post-op, spinal pathologies (cervical to sacral), neurological conditions such as MS, Parkinson’s Disease, TBI’s, Spinal Cord Injuries (cervical to Lumbar Injuries), vestibular dysfunction, and wound care. Throughout her work experience she gained knowledge and training in kinesiotaping, Myofascial Release, Primal Reflex Release Techniques, a variety of manual treatments, and neuro rehab. At the hospital in Princeton, WV, she served as a staff relief physical therapist and supervised 4 PTs, 7 PTAs, and 2 office staff clinicians. Laurice aspires to further her training by becoming a Pelvic Floor Specialist and LSVT BIG certified clinician. 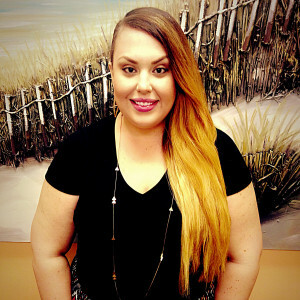 Laurice is new to the area and is excited about meeting new patients and being able to bring her skills to the city of Mooresville. Outside of the clinic, Laurice enjoys watching football (Go Herd!!! ), giving back to the community through her sorority- Zeta Phi Beta Sorority, Inc, and spending time with her family. She is excited to join the Saylor Team. Andrew Miller is originally from eastern Ohio. After completing his undergraduate studies at Slippery Rock University of Pennsylvania, Andrew took his talents to South Florida and received his Doctor of Physical Therapy degree from Nova Southeastern University. 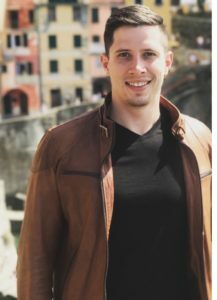 While enrolled at Nova, Andrew performed internships in West Palm Beach, Miami, and spent two months abroad at a neurological hospital in Perugia, Italy. While his 9 months of internship experiences were broad in scope, he spent 16 weeks working at two well respected outpatient clinics specializing in orthopedic conditions. Following graduation, Andrew made the move to North Carolina to be closer to family and establish himself outside of the Charlotte area. Andrew looks forward to building relationships with the Saylor Physical Therapy family and surrounding Mooresville community. Outside of the clinic, Andrew enjoys live sports, live music, and spending time outdoors. Adam Owczarzak is from Buffalo NY and graduated from Daemen College in 2014 with a doctorate in PT. He traveled as a PT in Virginia for a year doing home health and subacute rehab before coming to North Carolina working in similar settings as well as acute care at a hospital. Throughout his experiences, he’s gained an appreciation for all spectrums of patient care but ultimately enjoys outpatient orthopedics the most. Adam has added training through continuing education specifically in progressive neurological diseases, differential diagnoses, and treatments of the lumbar and cervical spine. He believes that patient education and communication is one of the most important aspects of being a physical therapist. Outside of work, Adam enjoys going out with his wife Lydia, being around family, playing sports, and rooting for Buffalo sports! Megan Aispuro is a Mooresville High School graduate and has spent most of her life residing in Mooresville. She attended Mitchell Community College and received a Certificate in Esthetics. She has worked in the customer service industry for over ten years and enjoys interacting with people. She is one of seven children and loves spending time with her big, loving family. Her pride and joy is her amazing four-year-old daughter, Leona. Mychael Jo Wickersham is from New Mexico but has also lived in SC, AL, LA and MD. Mychael and her family have lived in NC the last 15 years. 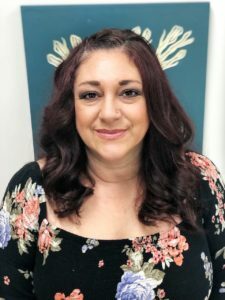 She has worked in the customer service industry for over 20 years. She has many years of experience handling her clients requests. She has three lovely daughters who are 26, 19 and 16. Mychael has two granddaughters and a grandson that her and her husband love to spend time with too. She is thrilled to be at Saylor PT!